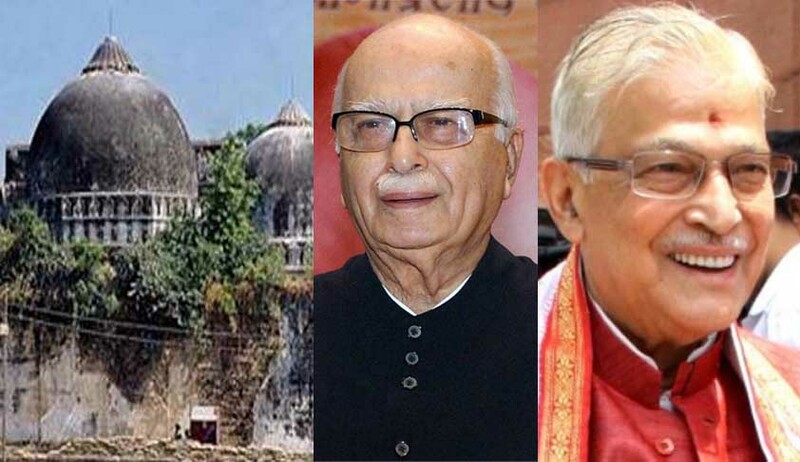 The Supreme Court decided to examine CBI's appeal against the special court's order discharging senior BJP leader LK Advani and others in connection with the Babri Demolition case. The top court said it may revive demolition case against 13 BJP and hindu right-wing leaders who were discharged on technical ground. The Court also expressed concern over delay in trial against people involved in the case and indicated for joint trial of all accused. "Why is separate trial going on in Lucknow and Rae Barely ? It must be clubbed together ," the bench of Justice Pinaki Ghosh and Justice Rohington Nariman and posts the case for further hearing to March 22. Years after CBI filed the appeal against dropping of conspiracy charges against BJP top leaders, the court heard it today. There are two sets of cases - one against BJP veteran L.K. Advani and others who were on the dais at Ram Katha Kunj in Ayodhya on December 6, 1992, when the Babri mosque was demolished. The other case is against lakhs of 'karsevaks' (volunteers) who were in and around the disputed structure. CBI has challenged in the Supreme Court the May 21, 2010 order of the high court, which had upheld a special court's decision to drop the charge against the leaders. In its verdict, the high court had upheld the special CBI court order dropping conspiracy charge against Advani, Kalyan Singh, Uma Bharti, Vinay Katiyar and Murli Manohar Joshi. The others against whom the charge​s​ w​ere​ dropped included Satish Pradhan, C R Bansal, Ashok Singhal, Giriraj Kishore, Sadhvi Ritambhara, V H Dalmia, Mahant Avaidhynath, R V Vedanti, Param Hans Ram Chandra Das, Jagdish Muni Maharaj, B L Sharma, Nritya Gopal Das, Dharam Das, Satish Nagar and Moreshwar Save. The CBI had chargesheeted Advani and 20 others under Sections 153A (promoting enmity between classes), 153B (imputations, assertions prejudicial to national integration) and 505 (false statements, rumours etc. circulated with the intent to cause mutiny or disturb public peace) of the Indian Penal Code. The investigating agency had subsequently invoked charges under Section 120B (criminal conspiracy) of the IPC which was quashed by the special court.